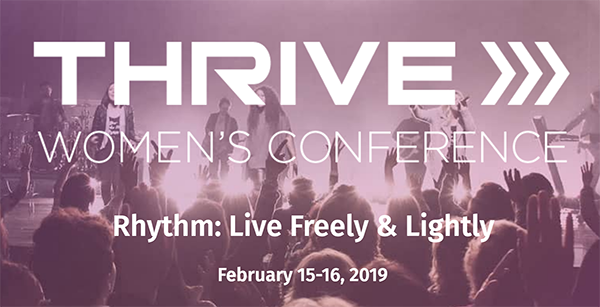 Sign Up for Thrive Women’s conference, February 15 & 16, 2019! Join other women, just like you, who want to grow in their faith and deepen their relationship with God. This year we will be focused on Ephesians 3:20, “Now to him who is able to do immeasurably more than all we ask or imagine, according to his power that is at work within us…” We can’t wait to see what God has in store for you.